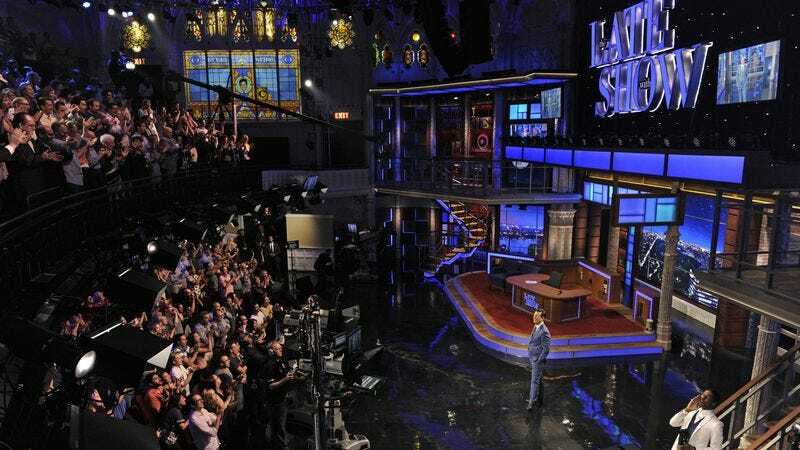 Colbert’s Late Show in its opening week. Though his Late Show regularly trounces the former late-night champion over on NBC these days, Stephen Colbert’s transition from The Colbert Report didn’t go particularly smoothly at first. The Late Show was coming off of David Letterman’s legendary run at the desk, and while Colbert’s big-name guests helped him start off on a good foot, his decision to go much more political than The Tonight Show ended up scaring away the sort of viewers who weren’t really ready for everything to be political. Of course, that was 2015, and it wasn’t long after that when everything became political. A disastrous presidential election and some behind-the-scenes retooling later, and Colbert’s Late Show is an undeniable hit—as long as you’re not an old comedian whose opinions aren’t super relevant in 2019. This weekend, speaking at a Paleyfest event (via Variety), Colbert addressed the rocky start of his Late Show, saying “those first six months felt terrible” because he kept having to work on figuring out how to do the show, rather than just doing the show. “I had always done something in character,” he explained, so “it was the first time I had to be me.” He said they tried going for a “heavy, political tone” at first, but as the ratings slipped they tried to be more “lighthearted.” When that also didn’t work, a producer suggested that Colbert just try “talking about what happened today.” That, evidently, is what finally clicked. Elsewhere in the chat, Colbert acknowledged Jay Leno’s aforementioned comments about modern hosts being too political, saying that he doesn’t think there’s anything wrong with saying “what this person is doing to families and the nation is horrible.” He’s referring to Trump, obviously, who Colbert also referred to as a “delicious idiot.” He also pointed out how shocked he is that the stupid arguments he made as the “Stephen Colbert” character on his Comedy Central show are now actual things that people in power are saying for real.